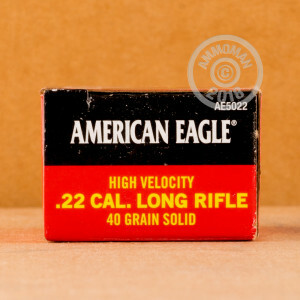 These 22 Long Rifle Rounds, from Federal's American Eagle line, are great for plinking and target shooting. Each round is loaded with a 40 Grain Lead Round Nose bullet. 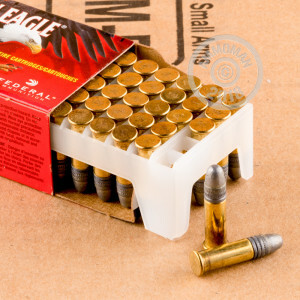 These are loaded into rimfire primed brass cases, with non-corrosive powder and primer.